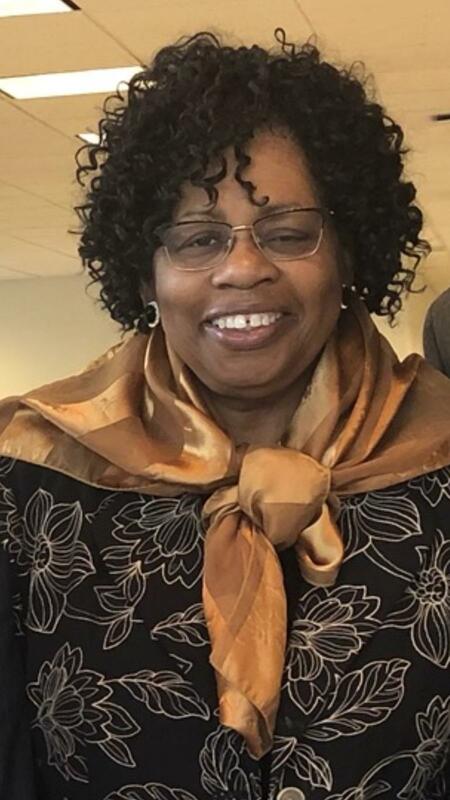 Beulah “Yvonne” Brickhouse Brown entered eternal rest into the arms of her Heavenly Father on Thursday, April 11, 2019 at her home in Norfolk, VA. She was born on September 4, 1952 in Norfolk, VA to the late Elder Shellie L. White, Jr. and Evangelist Martha A. Wynn White. Beulah accepted the Lord Jesus Christ as her personal savior at a very early age and never took her hands off of the plow. God anointed her as a pianist/organist as a child. Her music ministry started at the Macedonia Church of God in Christ in Windsor, VA where her father was the pastor. She graduated from Granby High School and attended and graduated from Norfolk State College with a degree in education, with emphasis on elementary education and later received her Master’s Degree from Grand Canyon University. Beulah taught at Brighton Elementary School in Portsmouth, VA for several years. In 1998, she was selected Teacher of the Year at Ingleside Elementary School. She eventually retired from Norfolk Public Schools as a special education teacher. She has served as the Minister of Music for various churches in the Tidewater area. Until the Lord called her home, she served faithfully as the organist for Macedonia Baptist Church in Chesapeake, VA and Woodland Avenue Baptist Church in Norfolk, VA.
She leaves to cherish her memories with daughter Martha S. “Chel” Brickhouse (Alex) of Atlanta, GA, son Daniel L. Brickhouse, Jr., and Granddaughter Ra’ Shonda S. Hawkins, all of Norfolk, VA; sisters Jean Briscoe of Philadelphia, PA, Linda D. Holliman (Chester) of Virginia Beach, VA; brothers Harvest C. White of Norfolk, VA and Leon White (Cindy) of Charlottesville, VA; aunts Verta Mae Dukes, Ruby Tyson, Alice Wynn, Eloise Wynn, and Virginia Mizell; uncle Alexander McNair and a host of nieces, nephews, cousins and friends. Yvonne, as she was affectionately called, always had a heart for children and has shared in raising and teaching many children of friends and family. The knowledge and training in which she imparted will never be forgotten. She was the good daughter, a big sister, loving wife, great mother, nurturing aunt, favorite cousin, best friend and sweetly saved and wholesome woman. Heaven is rejoicing because Beulah “Yvonne” Brickhouse Brown has been elevated and is now one of the Ministers of Music in that Heavenly choir. Praying for the family, I will always remember her for her smile and encouraging words. Prayers for the family… Yvonne will always be remembered… loving spirit…great musician… Woman of God…may she rest in peace. I will truly miss you Ms. Brown.. beautiful person inside and out. An angel! Sending my condolences to the family! What a wonderful spiritual saint that will surely be missed. Earth’s loss but Heaven’s gained! Thanks for the friendship Sister Brown! God took you home so rest in His arms. Life will never be the same without your smile and beautiful music. You touched so many people in so many different ways. But my friend you received your crown so walk around heaven and know that you will be missed. This Women Was A True Women Of God She Was A Worshipper And Praiser. Not Only That She Was A Powerful Minister Of Music She Could Play The Organ, Piano, Keyboard, As Long As It Had Keys She Could Play And The Lord Would Fill The Temple. She Truly Had A Heart For People She Was Full Of Love And Compassion Me And My Wife Is Truly Going To Miss This Vessel. Praying For The Strength For Her Family To Absent From The Body Is To Be Present With The Lord. Truly a Woman of God, prayers to the family, May God continue to comfort your loss of tender love and care, Rest my Sis……. My condolences to Martha, Daniel and the entire Family! Heaven has gained a beautifully spirited Angel. While we shall surely miss her presence here on Earth, she now reigns with our Heavenly Father. May these words add comfort to you in your time of sorrow! God bless you and know that we loved her at Mt. Gilead. She was a true musical gift to our church family when she played for our choirs! I stand with in your sorrow in the loss of such an anointed beautiful, caring, energized God filled woman. I am going to miss my friend. She laid down but woke up with her crown! Heaven has gained a new choir organist and she can play all day without getting tired. Praying for her and her family. Loved seeing her welcoming smile everytime we saw her in the office. She was super sweet and always seem to make us laugh. She will be missed. Fly high babygirl. To the family of Sister Yvonne, I’m keeping you in my prayers. A wonderful musician with a sweet and kind spirit has joined the Heavenly Choir. She always saw potential in anyone who wanted to sing and would work diligently to help them. Thanks for encouraging me to take pictures! My prayers goes out to the Brown and Brickhouse family. U r a true blessing from God and truly miss. I love u and miss u.
Beulah Yvonne Brickhouse Brown. We were blessed to have shared her as a friend and to have known her as an anointed woman of God. Your Mother left a legacy of love and talent, and was beautiful inside and out. Although it’s been a while since I saw her last, her passing still stings, as I regarded her immensely. Rest In Peace my dear friend. We can’t express how much she will be missed in our lives. The kindness she showed, the love she shared, and the happiness she brought. Our deepest condolences to you and your family.